This patio door cylinder lock is constructed from die cast and comes plated in chrome. It features a wafer type lock that fits on 1 inch thick door stiles. This cylinder is used to key lock most flush mount type sets. This high security door lock is constructed of extruded aluminum and comes in a brushed chrome finish. This reinforcement lock meets the Texas building code requirements, and it is designed to withstand up to 800 lbs. Of force, making it virtually impossible to defy from the exterior. This lock features a spring-loaded, child-safe and tamper-resistant design that protects against unauthorized entry by preventing lock bumping and lock picking (while in the locked position). installation of this non-handed reinforcement lock can be accomplished in just minutes, and it can be used on any swing-in door of any door thickness. All fasteners and installation instructions are included with this item. Fasteners include 3 inch Long hardened screws that anchor into the door jamb and studs. 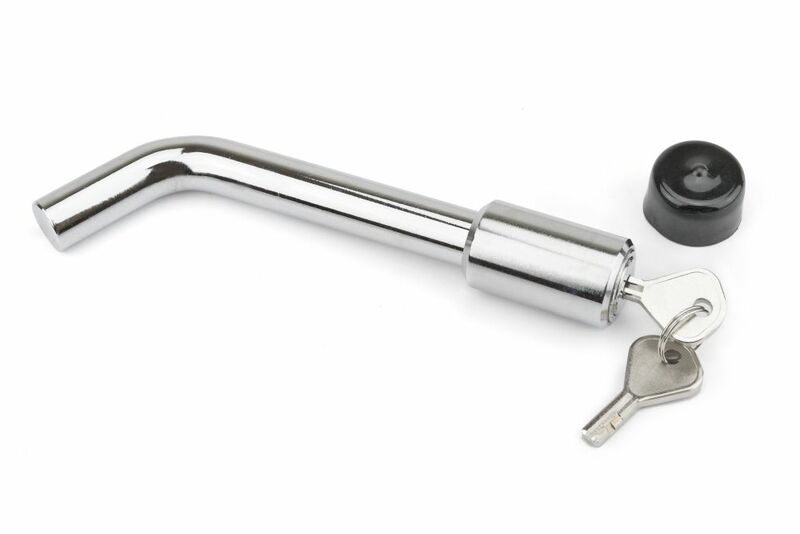 Proffessional Bent-Pin Chrome Receiver Lock For over 55 years REESE Towpower<sup></sup> has remained the number ONE manufacturer of towing products through its continuous innovation and commitment to the highest quality standards. Our products are used by recreation enthusiasts, heavy-duty agriculture users, and even vehicle manufacturers around the world. REESE Towpower<sup></sup> includes easy-to-understand tri-lingual instructions to make installing and using your towing products simple and straightforward. Your peace of mind is our business. REESE Towpower<sup></sup> products endure testing so rigorous that our methods actually became the industry standard. No other towing products company works this hard for you. So when you're ready to tow, Road trip, let's go! REESE Towpower<sup></sup> - TESTED TOUGH!